When the Dallas Cowboys Football team added Terrance Williams to their ranks, they certainly gained a talented wide receiver. The young athlete was drafted in the NFL draft of 2013 as 74th overall in the third round. During his college football years at Baylor University, the young star recorded a few accolades and commendations and earned an All-American recognition. His hard work and dedication to football earned him a place in the 2013 National Football League draft and today, Terrance Williams is making a name for himself as a wide receiver for the Dallas Cowboys. Terrance Tyrone Williams was born in Dallas, Texas on the 8th of September 1989. The wide receiver was brought up in Highland Hills, Dallas and owes his early education to W. T. White High School in Dallas where he played for the White Longhorns high school football team. His high school statistics as a senior was remarkable with a total of eight touchdowns and 59 receptions for 972 yards. His impressive performance earned him multiple scholarship offers including the ones he got from Colorado State University and Baylor University. Terrance Williams then chose to further his education at Baylor University. During his years at Baylor University, he played for the Baylor Bears football team for four years, spanning from 2008 to 2012. His college football stats of 202 receptions for 3,334 yards with a total of 27 touchdowns was considered astounding. In 2011, Terrance Williams was a Biletnikoff Award finalist. The following year, he was considered the leading receiver for the nation with an impressive 1, 832 receiving yards. After his NFL draft by the Dallas Cowboys, he was fortunate to secure a starting spot opposite Dez Bryant in 2014 after the exit of Miles Austin. Though he struggled at first, especially trying to adjust to team’s offense at training camp, Terrance’s total touchdowns experienced a significant increase. Although his total yards and receptions dropped, the Terrance Williams’ propensity for the big play was clearly evident especially in the postseason where he recorded very good stats. With Dez Bryant’s absence for the better part of the 2015 season due to a foot injury, Terrance was better positioned to record a career-high; although he faltered a bit at the start before picking up. Recently, the football star signed a $17 million four-year extension contract through to 2020 with his current team, the NFL’s Dallas Cowboys. There isn’t a lot of information on the wide receiver’s family background, but we were able to sieve out the identity of his parents and siblings. According to our findings, Terrance Williams’s parents are Jeff and Angela Brown. He grew up in Highland Hills alongside three brothers – Cory Williams, A.J Williams and Kenneth Williams. More background information about the wide receiver and his family is not available as Terrance Williams is adept at keeping his family life away from the prying media. Terrance Williams has various hobbies, some of which include playing video games, long hours of training in the gym, reading magazines, and watching television series and movies. The famed sportsman also has a lot of ‘favorites’; while his favorite sport is obviously football, his favorite actor is Leonardo Dicaprio and his favorite actress is Angelina Jolie. It is on record that Terrance’s favorite athlete is Bo Jackson, the former American football player. He also has a special liking for the musician, Beyonce. Terrance Williams is more of a ‘dog person’ than a ‘cat person’ which is evidenced by the fact that he has a dog for a pet. The athlete is also known to eat a lot of junk food, to like the color black, and to favor his Twitter handle more than any other social media platform though he also has a significant presence on Instagram. The American footballer has had issues with the Texan authorities in the past. He was apprehended in Frisco, Texas on the 19th of May 2018 on charges of suspected public intoxication after the authorities found a car that was registered in his name rammed into a light pole. 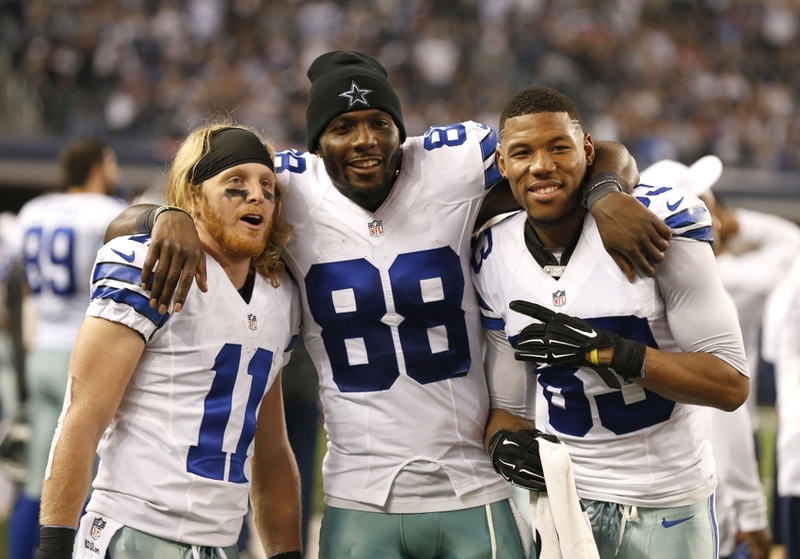 Terrance Williams got released from detention after posting a $369 bond. The case was dismissed on the 1st of August 2018 when the police department in Frisco declined to press further charges. The announcement was made by the police department alongside the footballer’s attorney – Hunter Biederman. Terrance Williams stands at an impressive height of 6 feet 2 inches (1.88 m) and weighs a commensurate 95 kg (210 lb) in body mass. Other details about his general body statistics are not known.